Live churches’ expenses are always more than their income; dead churches don’t need much money! Live churches have parking problems; Dead churches have empty spaces! Live churches may have some noisy children; Dead churches are quiet as a cemetery. Live churches keep changing their ways of doing things; Dead churches see no need for change! Live churches grow so fast you can’t keep up with people’s names; In dead churches everybody always knows everybody’s name. Live churches strongly support world missions; Dead churches keep the money at home! Live churches are full of regular, cheerful givers; Dead churches are full of grudging tippers! Live churches move ahead on prayer and faith; Dead churches work only on sight! Live churches plant daughter churches; Dead churches fear spending the money, time, and talent! 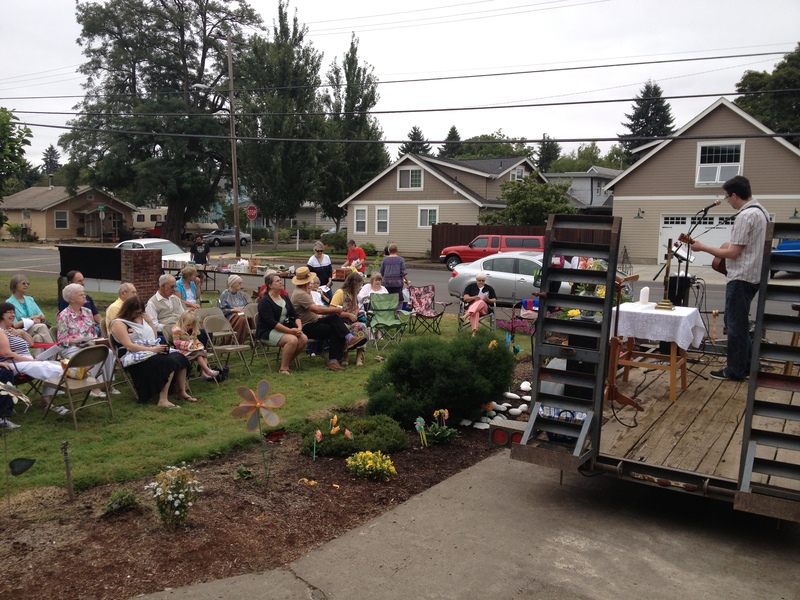 Live churches outgrow their Sunday School facilities; Dead churches have room to spare! Live churches welcome all classes of people; Dead churches stick to their own kind! Live churches’ members read their Bibles and bring them to church; Dead churches’ members seldom do! Live churches’ members enthusiastically support the ministries; Dead churches have no ministries only functions! Live churches’ members look for someone they can help; Dead churches’ members look for something to complain about! Live churches’ members reach out to share their faith in Christ; Dead churches’ members don’t have enough to share! a passionate woman of God who believes in living the truth; in being Christ in the world; and in inspiring others. This entry was posted in Uncategorized and tagged church, church membership, growth. Bookmark the permalink. This is clearly something that everyone needs to read!